Clean & Tidy Working Ranch w/excellent freeway exposure! Located in the heart of the 100 Valley's of the Umpqua! 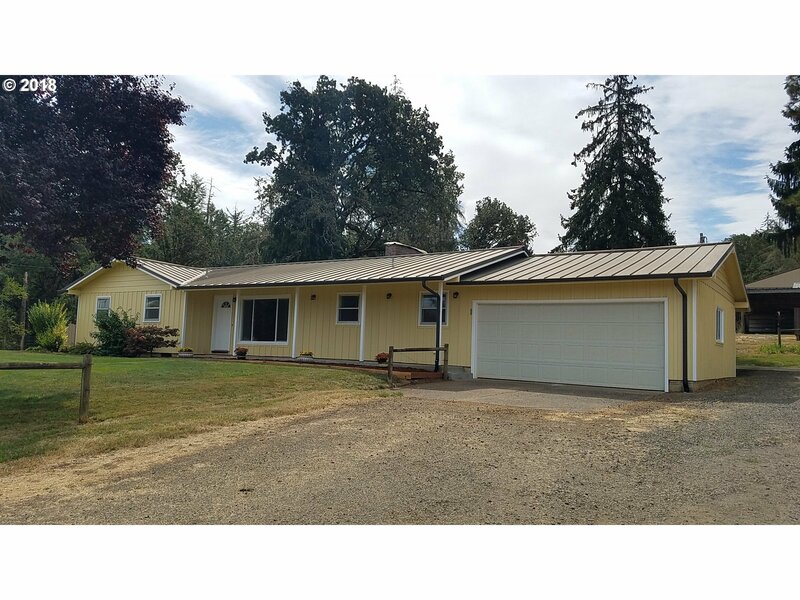 Updated throughout 3 bdrm, 2 ba single level ranch style home w/metal roof and 2 car attached garage. Excellent horse training/boarding facility! 60x120 indoor arena with water and lights, 64x86 barn with 9 stalls, tack room and hay storage, 20x50 workshop, 13x36 machine shed. 98 ac w/some merch timber + 3-4 fenced pastures.